The Lobby Restaurant & Bar is the new hot spot in Aruba. With expertly prepared creative cocktails, an extensive wine selection, and exquisite outside terrace, the Lobby Restaurant & Bar is the perfect place to grab a drink, share an appetizer, or enjoy a meal. With our grand opening at the beginning of July, you’re invited to sit back, relax, and linger, while taking in the beautiful Aruba surroundings. You’ll enjoy an al fresco setting, modern and comfortable seating, and a detailed menu that is full of international cuisine. Take a look at what we have to offer, then join us for a drink! Whether you are looking for a great cocktail to enjoy or a glass of wine to complement your entrée, our team will be happy to provide you with our favorites. In fact, our expertly curated wine list features unique selections from around the world that will delight any wine connoisseur. Looking for the perfect spot to host your next event on the One Happy Island? The Lobby Restaurant & Bar makes it easy. Our VIP area is perfect for hosting groups up to 20 individuals, so you can enjoy cocktails, appetizers, or a meal with your closest friends and family. Plus, our DJ spins live 80’s & 90’s hits with new beats every night at 10PM. The Lobby Restaurant and Bar is open seven days a week for your convenience. We are open for business from 6 pm to 1 am Sunday through Thursday and until 3 am Friday and Saturdays. It’s important to note that our facility is 21+ after 11pm. 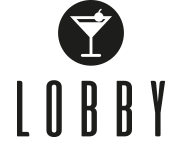 If you would like to learn more about The Lobby Restaurant & Bar, please contact us. We look forward to serving you and your guests at our establishment in Aruba!